(KPAX) It’s a bond only those in local law enforcement can explain. When tragedy hits close to home, it’s the overwhelming amount of support that brings them all together. 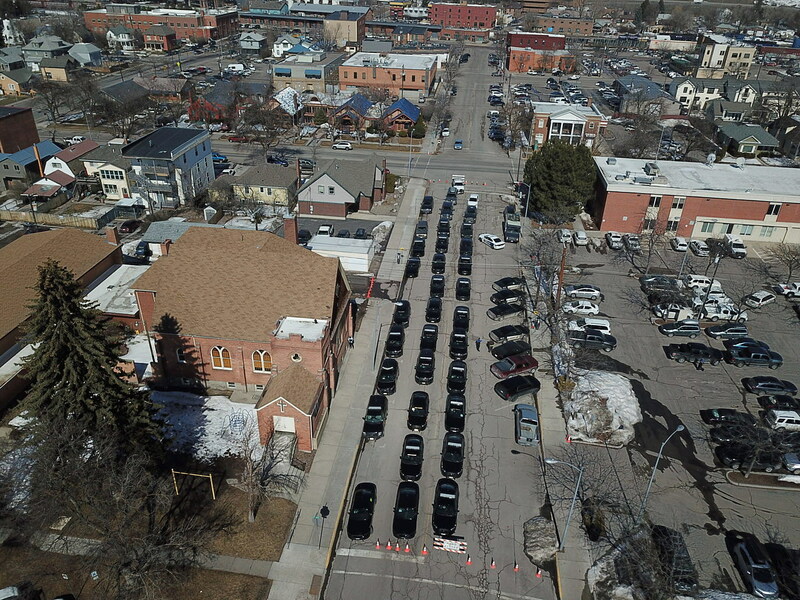 Hundreds of law enforcement officers across the state gathered at the Missoula County Courthouse Monday to back their brother, Trooper Wade Palmer, who is currently fighting for his life after being critically wounded in a Friday shooting in Evaro. Montana Highway Patrol troopers, Missoula County sheriff’s deputies and multiple other law enforcement agencies filtered into the courtroom. The assembled officers were there to stand watch as the suspect in a series of shootings that left one man dead and three more people injured, including Palmer, made his initial appearance in Missoula County Justice Court. Johnathan Bertsch faces one count of deliberate homicide for the death of Shelley Hayes, as well as three counts of attempted deliberate homicide, in connection with the shootings. Bertsch’s bond was set at $2 million. Just as Utah officers are standing outside Palmer’s hospital room, Montana law enforcement officers were in the Missoula courtroom in a show of solidarity. “We are a big family and when this happens, even though Trooper Palmer works for Highway Patrol, we have his back and we’re here to support him and his family through this horrific ordeal,” said Missoula County Sheriff T.J. McDermott. Dever added that the amount of support was no surprise, and it’s just what family does. To help the family of Shelley Hayes, who was killed in one of the shootings, click here.